Our Team Has Successfully Helped Thousands of Clients! Over the Past 15 Years we Have Represented Taxpayers through Audits, Objections, Tax Appeals, and Income Tax Act Charges. 98% of our cases are resolved through negotiated settlement. For the remainder, we thrive in trials and at appeals. Q – Why Do You Need A Lawyer To Assist With Audit, Reassessment, Objection, Tax Appeal, Investigation, or Income Tax Act Charges? A – The Canada Revenue Agency (CRA) has very broad powers to investigate taxpayers. These powers can exceed those available to police, military, and intelligence agencies. CRA agents routinely make aggressive and often unfounded ‘assumptions’ about taxpayers to maximize collection of taxes, penalties, and interest. In our experience, this is often done with little regard for accuracy or reasonableness. CRA agents place the onus on taxpayers to disprove their aggressive theories. Even in benign communications with taxpayers, the CRA is poor at providing accurate information to Canadians. In 2017, the Auditor General concluded that the CRA provides Canadians with inaccurate information 30 percent of the time. Fortunately, Canadian Courts have expanded the scope of legal protections available to taxpayers. We have an excellent track record when challenging the CRA, including through the Courts. For example, in a single case before the Tax Court of Canada (Osinski v. Her Majesty the Queen), we were successful in overturning reassessments totaling $3,834,543.62 in taxes, penalties, and interest which had been levied against an individual taxpayer. The Honourable Mr. Justice Pizzitelli awarded costs against the CRA. We have also successfully defended against Income Tax Act charges brought against taxpayers. See, for example, 2017 Court Order withdrawing all (20) charges against taxpayer:  Her Majesty the Queen v. M. S.
Even the civil courts have acknowledged CRA and government agent wrongdoing, opening the door to additional remedies. 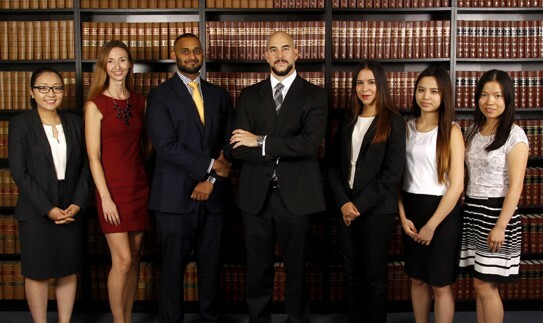 Our firm was instrumental in obtaining a unanimous Ontario Court of Appeal Judgement recognizing an individual’s right to sue government agents including enforcement officers, for negligence. In that case, the Ontario Court of Appeal held that “It is in everyone’s interest that by-laws not be enforced in an ‘unconstrained’ manner”. (Rausch v. Pickering (City), 2013 ONCA 740). Other civil courts have since recognized that government agents, including CRA agents, owe taxpayers a ‘duty of care’. Further, the civil courts have been open to claims against the CRA for negligence and even for malicious prosecution. In a 2018 decision, the Honourable Mr. Justice Punnett held that CRA investigators and agents could be held liable for “high-handed, reprehensible, and malicious” conduct and awarded $1,350,000.00 in punitive and aggravated damages, in addition to $347,731.74 in special damages (Samaroo v. Canada Revenue Agency, 2018 BCSC 324). No agency has the authority to bully you. No agency has the right to abuse its authority. CRA agents owe you a duty of care. If you have to deal with CRA, bring the Payne.